Question: Hey Ralph, I hope you can help me with this question. Last year, after I filed my taxes on one of those free file sites I received another Mortgage Interest statement from the lender who took over my mortgage. Since I had already filed my taxes and received my refund I was not able to claim the interest. I was wondering if I could just add it to this year's return? It's quite a bit of interest so I don't want to loose the deduction. Answer: Unfortunately we see get this question frequently. The mortgage interest must be taken on the tax return for the year when it was paid so the only option is to amend your tax return from last year and include the mortgage interest as part of a correction to your previously filed return. 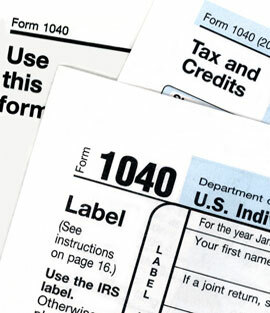 The filing of amended/corrected tax returns is very common, but you will have to file it the old paper format and it can take some time for the Internal Revenue Service to review and issue your refund. It is in your best interest to file the amended return since you will increase your refund. Filing amended returns and computing corrections can be complicated so call Ralph V. Estep, Jr., of Saggio Accounting+PLUS at (302) 659-6560 or visit our website at www.saggioaccounting.com.